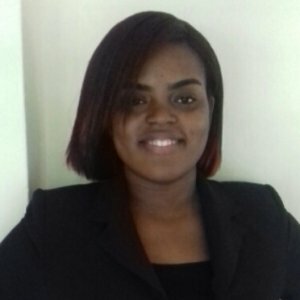 Yanika Miller is currently a final year Science major at the University of Technology, Jamaica. She plans to use her final year to gain more real world experience as a software engineer. Whenever she has any free time she likes to read and research new topics. Particularly areas that help her make her life easier and allows her understand how the brain works. She is currently focused on learning more about digital marketing and programming. She loves to express her creativity through graphic design and cooking. More than one of her friends have been used as guinea pigs to test new kitchen recipes, because Yanika is always trying to make the best dish she possibly can. In addition to wanting to become a better programmer, she wants to become entrepreneur and has several interesting business ideas that will allow her to fully utilize her creative spirit. To her, a perfect career would be one that allows her to take on interesting challenges to improve her skills in addition to allowing her to travel and be exposed to new ideas, technologies, people and cultures. She firmly believes that, while external forces may have an effect on the trajectory of her life, she is ultimately the one who is accountable for how much of her potential she is able to unleash. That’s why her two favourite quotes are “The only limit to your impact is your imagination and commitment” by Tony Robbins and “It’s not over until I win.” by Les Brown.